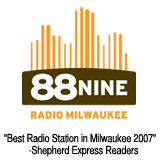 Last Friday at 10pm on 88Nine was the return of Rhythm Lab Radio. For those who unfamiliar with the show, it is 120 minutes of genre bending music that redefines the urban sound. We added to new features called album of the week and download of the week to Rhythm Lab Radio. Last week’s Album of the Week was Flying Lotus’ “Cosmogramma” and the download of the week was Trouble Andrew’s “Trouble Gang Mixtape”. You can download the Trouble Andrew mixtape from here. We also had new music from the Gayngs record Relayted, Hypnotic Brass Ensemble and the Nas and Damian Marley album Distant Relatives, which drops on May 18th. Sleigh Bells – “Rill Rill” – Treats – N.E.E.T. Lots of songs never make it to the radio that are getting lots of attention online. Live tracks, sanctioned and unsanctioned remixes, mash-ups, overlooked gems by unsigned artists. Every week on “Are You Feeling This,” we invite you to hear what the buzz is all about. You tell us what you think. Vote in the Are You Feeling This poll, leave a comment, send us an e-mail. We have music from the Flying Lotus, The Books, the duo Sleigh Bells who are on M.I.A. label N.E.E.T., and Milwaukee’s Lorn who happens to be on Flying Lotus’ label Brainfeeder. Take a listen below and let us know what you think by voting in the “Are You Feeling This” listener poll. Previously I mentioned about Flying Lotus amazing label called Brainfeeder. 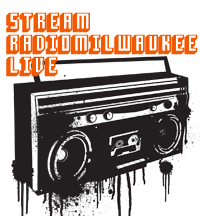 I also mentioned that there is amazing artist on that label living right here in Milwaukee. He goes by the name of Lorn. He is DJ and producer, whose music is a cornucopia of electronic sonic delights. Ranging from hip hop to dubstep to experimental, Lorn breaks the mold. Lorn recently moved back to Milwaukee from Brooklyn to wrap up his album, which will be release on June 8th. He is also part of the Milwaukee duo Omega Clash. Get to know Milwaukee’s Lorn by checking out these tracks, and make sure to check him out whenever you get a chance. You will not regret it. When I saw him at Red Room a few weeks ago, I was blown away. Flying Lotus is probably one of the hottest producers/artists right now. This grand-nephew of the legendary Alice Coltrane got his start with Cartoon Network’s Adult Swim, when his music was playing during the channel’s interludes between shows. Now this LA kid can do no wrong. He has also created one of the most exciting labels around called Brainfeeder and with a highly anticipated album called Cosmogramma on the way, 2010 will definitely be his year. A new track has appeared on the internet featuring Radiohead’s Thom Yorke. His album will drop on May 4th on Warp records. Speaking of Brainfeeder, did you know a cat from Milwaukee is on that label? Check out Lorn, you won’t regret it. Flying Lotus will be at the Double Door in Chicago on April 2nd. 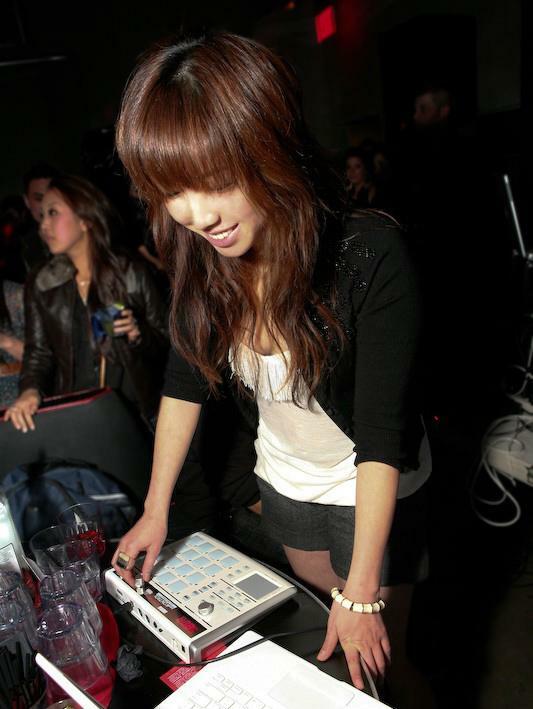 I was first introduced to the lovely voice and music of Mia Doi Todd via a Flying Lotus remix of “My Room is White”, and I have been a fan ever since. A couple of weeks Mia dropped a video for the song “Open Your Heart”, which was directed by acclaimed music video director Michel Gondry. The video is signature Gondry with the colorful outfits. The songs also has a lovely Brazilian flavor. I love the new “beat” generation, and no I not talking about the 60’s and poets like Jack Kerouac. I’m talking about a new breed of electronic producers and the scene they have created. The scene reminds me of the jazz scene from the late 50s and 60s that I studied in school. The ironic thing about the previous statement is that the poster child for this movement, Flying Lotus, great aunt is legendary artist Alice Coltrane. The music can be melodic, abstract,soft, and hard. Los Angeles seems to be the epicenter of this new beat movement. DJs such as BBC’s Mary Anne Hobbs have championed the music and the scene. West Coast Rocks has been a term to label the scene coming out of Los Angeles. Artists from Daedelus to Gaslamp Killer to Lazer Sword, and others have further the sound and scene. The scene has even expanded across the pond with artists such as Hudson Mohawke and Rusko. For the most part, the scene has been dominated by men until now. Meet TOkiMONSTA. Don’t let that face fool you, she can create some sick beats, and she is not to be mess with when comes to production. She is currently signed to Flying Lotus’ label Brainfeeder. Check out some of her tracks below. We're a non-profit radio station. It means we don't make millions from advertising. It also means we can play the music you like. That's a decent trade-off. You give us money to stay on the air; we play the music you want to hear. Are You Feeling This: Jonathan Frost "I'll Wait For You"
Katie on Sound Travels Sunday: Sonidos Total! Bob on What is this Twitter thing? And How Do I Tweet?